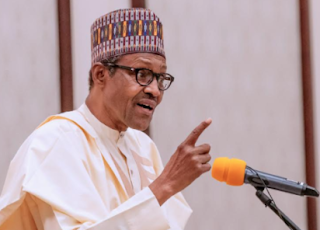 Ahead of next year’s general elections, President Muhammadu Buhari has warned members of the Armed Forces to remain non-partisan, but vigilant in dealing with issues of security. President Buhari stated this yesterday in Maiduguri, the Borno State capital, while declaring open the Chief of Army Staff (COAS) conference 2018. Speaking at the ceremony, the president stressed that the military must remain vigilant throughout the electioneering period in order to prevent all forms of violence that could disrupt the process. The president said the participation of the military in the 2019 elections must be in line with the Rules of Engagement for the Armed Forces. President Buhari assured Nigerians that his administration was determined to support and encourage the armed forces to eliminate Boko Haram from the surface of the earth. He said: “I want to encourage our troops not to be distracted by whatever speculations, but to remain focused and committed to the task of eliminating Boko Haram from the face of earth. “We will be visiting some of our injured troops in hospitals and also talk to others at their bases to assure them of our continued support. It is a must win war. “One of the cardinal objectives of this government is security. In this regard, the Nigerian Army’s efforts have led to the dislodgement of insurgents from areas hitherto viewed as their strongholds, rescue of abducted persons, return of internally displaced persons and the gradual return to normalcy in the North-East. “As president of the country, I am determined to ensure that every citizen feels safe and secure in all parts of the country. To achieve this, the security agencies must rise to the challenge and curb threats to security in our country,” he further stressed. Buhari said: “The armed forces play a critical role in safeguarding the country, hence you must all ensure that your plans and programmes meet the challenges we face. “Boko Haram is a must to win war and you should remain and eliminate Boko Haram from the face of the earth. I will encourage you in whatever way to achieve your constitutional mandate of safeguarding the nation. “I am delighted to be here in Maiduguri for the opening ceremony of the Chief of Army Staff’s Annual Conference 2018. I know that the venue of this Conference was moved from Benin to Maiduguri at very short notice. “I can see that so many of the very senior officers in the Army, both serving and retired, are here. In view of recent tragedies, I commend the decision of the leadership of the Nigerian Army in moving the venue of this conference to Maiduguri. “The officers and soldiers who are fighting against the course of terrorism in the North-East deserve all the attention our country’s leadership can demonstrate to the nation,” the president said. Commenting on the recent setback faced by the military in the counter insurgency war in the North-East, Buhari said: “I am, of course, aware that in the recent months and in recent days, there have been some operational losses in the Northern part of Borno State, particularly in Jilli, Arege and Metele. The president commended the efforts of the military in stabilizing the security situation in the Niger Delta and other parts of the country and curtailed the clashes between herdsmen and farmers. He said: “I must commend the selfless sacrifices of our armed forces, especially the heroic officers and soldiers of the Nigerian Army, who by virtue of their commitment to operations all over the country, have brought about the desired peace. “I know that you are doing your best to reverse this trend and I want to assure you that no effort will be spared in providing the necessary support you require to complete the task. We remain committed to ending the crisis in the North-East and making the entire area safe for all. I urge you all to keep up the good work. The president also visited injured troops on admission at the Military Medical Centre, Maimalari Barracks, Maiduguri. Buhari, who addressed officers and men of the Nigerian Army at the Maimalari Barrack, headquarters of Operation Lafiya-Dole, said he shared in the agony of loss of gallant soldiers. “I have come to pay homage to the gallant soldiers lost by the nation and to console the injured ones in recent terrorist attacks. I urge you to remain focused and win the war,” the president said. Buhari asked for a minute silence in memory of the gallant soldiers and later went round the wards to visit wounded soldiers in the hospital within the army barracks. He assured that the soldiers would be taken care of. “No matter how equipped the military is, the military is of no use if it doesn’t have discipline,” he said, urging them to uphold the tenets of the constitution and ensure tight security to protect lives and property. At the palace of Shehu of Borno, Abubakar Ibn Umar Garbai El-Kanemi, President Buhari said his administration will do everything to secure the country, commiserating with all Nigerians who lost loved ones in the recent setbacks in the fight against terrorists. “We have to remind ourselves where we were and where we are now and what happened in-between. The people of Borno State know what we did in the last three years. The situation would have been worse,” he said. In his address at the conference, the Chief of Army Staff, Lt.-Gen. Tukur Buratai, said internal security had greatly improved from what it was in 2015 when President Buhari assumed office. He added that the army remains neutral and non-partisan and will carry out their constitutional duty of safeguarding the nation’s democracy. Minister of Defence, Brig.-Gen. Mansur Dan Ali (rtd), assured the president that the military was putting in place new strategies to stabilize the country. In his remarks, the Shehu of Borno, who spoke on behalf of the state’s Council of Chiefs, thanked the president for bringing peace to the state and asked for intensive security patrols across the territories to save people from attacks on farms.